Recently we ran a holiday contest where we asked our Facebook fans to share their favorite holiday story around eating gluten free. 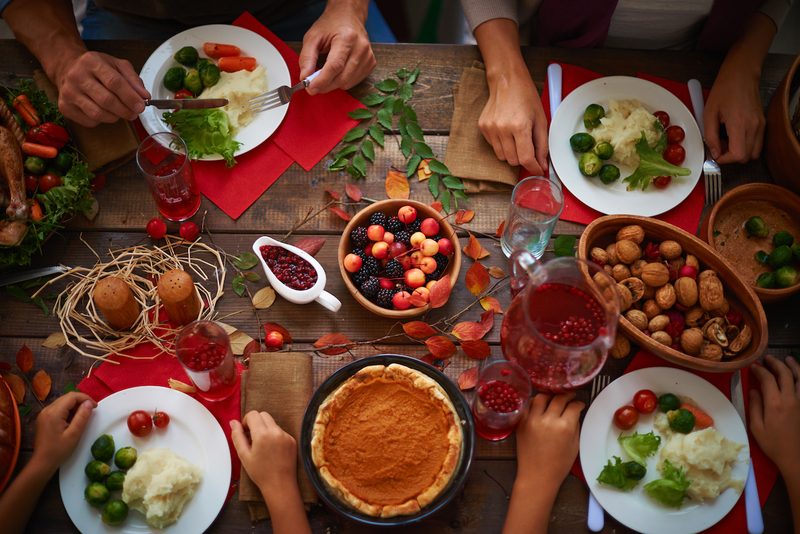 We loved hearing some of your stories and thought we’d turn your experience and knowledge into a blog post to help others who may be seeking advice on dining with family and friends this season. Here are our curated tips for gluten free holiday eating. If you’re not the one in charge of cooking and your hosts are tuned in to the ins and outs of Celiac Disease and gluten sensitivity, they will most likely be well aware of any food-centric anxiety you may have. However, you may simply remind them to be careful of add-ons such as turkey broth, some marinades, gravy, seasoning packets, spice blends, traditional stuffing and anything else where gluten may lurk. Roasted turkey or chicken, steaks, pork chops are all gluten free meats to enjoy during Thanksgiving festivities. Thanksgiving vegetable options run aplenty and (if you’re keeping tabs on what they are served with) can be utterly satisfying in-and-of themselves. You can never go wrong with greens such as roasted kale, Brussel sprouts or broccoli, green bean casserole (prepared with gluten free cream of mushroom soup) or any variety of potato. A salad can also offer a delicious choice when thinking of a side, or even a main dish. Luckily, with the growing choice of gluten free substitutes, it’s easy to simply swap your traditional favorites. From gluten free stuffing mix to healthy, gluten free bread for leftover turkey sandwiches, options have grown tremendously over the past few years. Desserts, as we discovered, are a very important part of the Thanksgiving meal. Some folks substituted flour, while others simply swapped out with gluten free options altogether. What’s clear, though, is that you do not have to sacrifice for flavor for sweet indulgences. Even though many in our community prefer to cook for themselves or join family or friends at their homes, we discovered a few that are actually creating new traditions by enjoying dinner at Celiac-safe restaurants. We’d recommend calling around to find the best one to fit the needs of your entire party. How will you be enjoying the holidays this year?